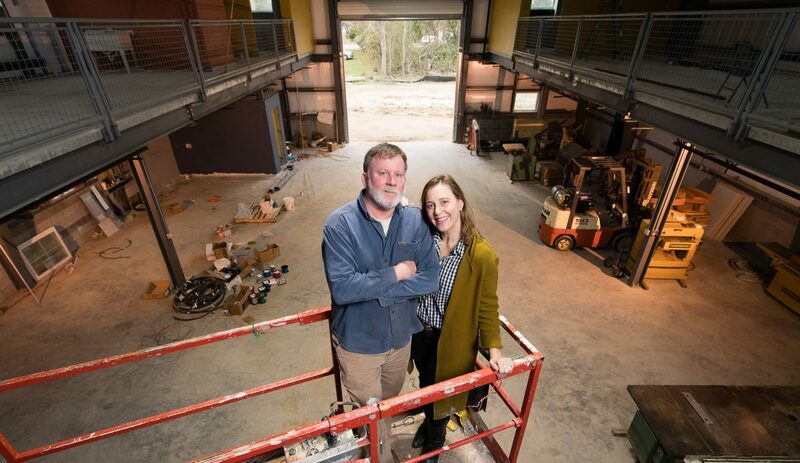 The vision Julie and Bill Hussey had for their community business, Workshops at Howard Heights, was a space where artisans and craftspeople could practice their trades. Bill is a custom woodworker by trade, and he and Julie saw a need in the creative community for this type of workspace. The Husseys had already purchased the land they needed for their business when they approached South Carolina Community Loan Fund for $578,000 in construction financing. “SCCLF has been so helpful to us, because we needed a lender who understands what it’s like to be new to the business world. It often feels impossible to navigate the [real estate development] system as a small business, so we really appreciated the guidance,” said Julie. The effects of being able to bring a concept like Workshops at Howard Heights to market will be felt by countless microbusinesses in the Charleston area. The Husseys are taking the understanding and guidance they received from SCCLF and paying it forward to the artisans, craftspeople, and microbusinesses who will share space at the Workshops facility. The result is an energetic, collaborative space where one community business is encouraging the growth of so many others.